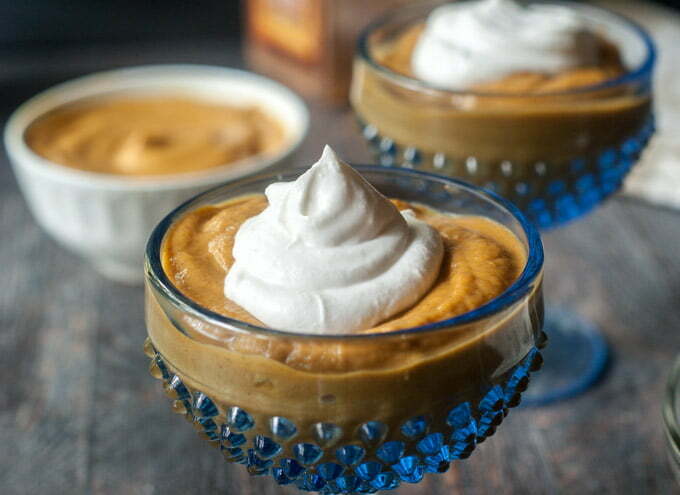 This healthy pumpkin pie pudding is the perfect after school snack or dessert. It takes only a few minutes to make and has only 3.4g net carbs per serving! 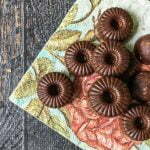 Guess what we are celebrating today on Sunday Supper…. after school snacks. I remember being so hungry after school and as a family we ate dinner pretty early, so our after school snacks weren’t much. However these days my husband gets home a little late so my son usually has a substantial snack after school. Toady I wanted to make a healthy pudding because I know that is something my son would love. So I have made a healthy pumpkin pie pudding that is Max approved. It’s full of healthy ingredients and only takes a few minutes to make. And it’s even low carb enough for me to eat with only 3.4g net carbs! 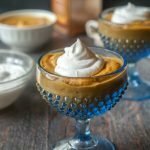 This recipe is a combination of my mini low carb pumpkin pies and chocolate peanut butter protein pudding. The chocolate pudding was an eyeopener. I learned to use avocado to give it that creaminess naturally. 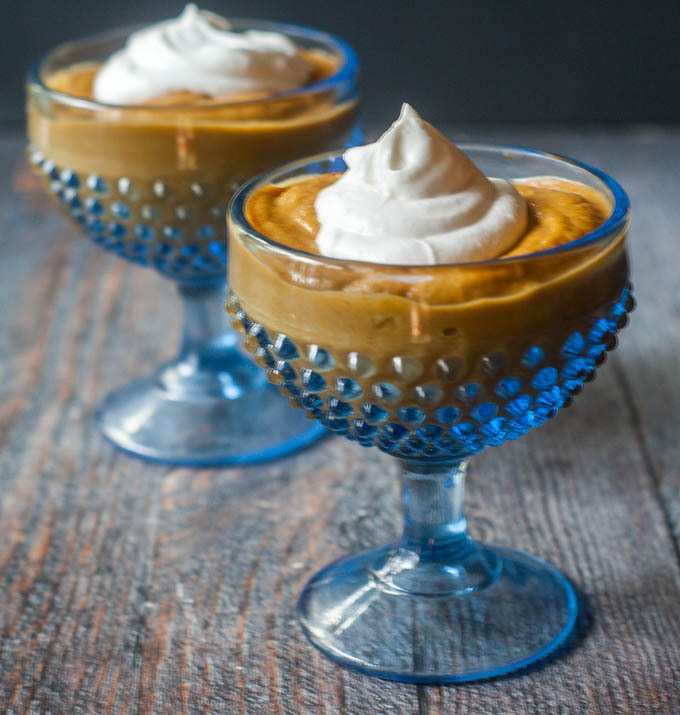 This pudding today is very healthy because avocados are a great source of healthy fats and vitamins, while pumpkin is full of fiber, potassium and vitamin A. 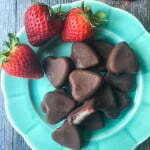 The only other ingredients are a little almond milk, spices and natural stevia sweetener. Below you can see I topped it with some whipped coconut cream. I just bought some coconut cream from Trader Joes (similar to this) and whipped it up with some SweetLeaf vanilla stevia. I used the vanilla stevia in the pudding too. Max is not a coconut fan so I didn’t put it on his but I put it on mine. I find that it’s really good with fresh strawberries too. This recipe does not make huge portions because I was trying to keep the carbs down for me. You can always double this if you want to make more or bigger servings. As it is I think you will be very satisfied. Both my father and in law and my son really liked this so I was very happy with the outcome. Spoon into dishes and refrigerate until ready to eat. 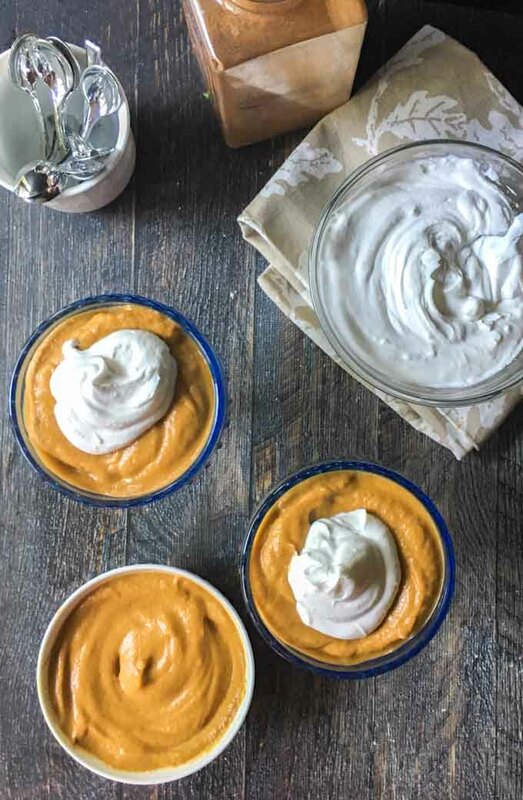 For the coconut whipped topping, add just the coconut cream (not the water in the can) and a bit of vanilla stevia to a large bowl and using a hand mixer, whip until nice and creamy. Keep refrigerated. More healthy or low carb snacks! I’ve been dying to try some coconut cream to whip up — and Trader Joe is one of my very favorite stores. Hubby can’t get my fascination with it. I try to tell him it has just so many neat products. What the heck, he’s not the creative one in the family!! I love the idea of the pumpkin. Will have to remember this. I love Trader Joes too! It’s a bit far for me but I try to go at least once a month. I love their packaging too. Oh I love the idea of using avocado for the creaminess! Yum! Thanks Michelle! It makes it creamy and it’s good for you….win win! I love that you added avocado in there. Sounds so delish. Pumpkin spice is one of my favorite spice blend this time of the year.. The pudding looks so light and creamy. I am a total pumpkin lover. I eat it all year long. 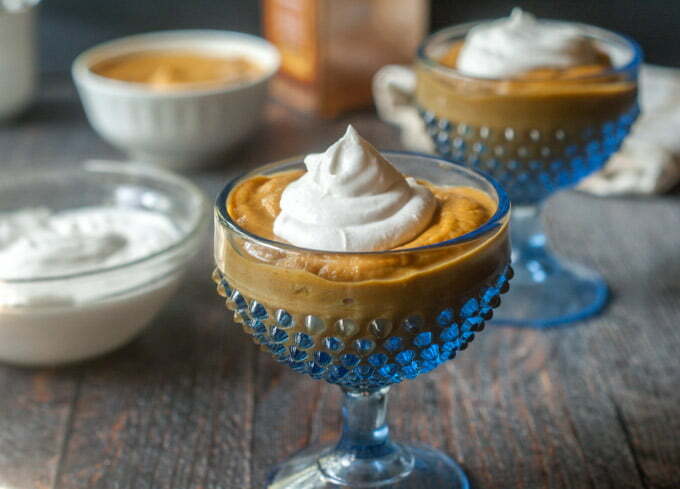 My grandson would love this pudding….I just might have to make it for him. I think he would love it Gloria. My son did. This looks so velvety smooth and creamy! And I love how easy it is to put together. Easy it is! Thanks for stopping by Jolina. This is on my list for pumpin season, it looks delicious! 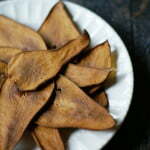 This is a lovely and healthy snack! I would love this and I am so craving all things pumpkin already! I was craving pumpkin too! 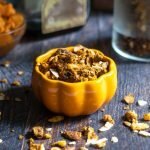 I love this healthier pumpkin treat! It looks terrific!!! I am really happy that this was healthy and my son liked it. A big accomplishment! No one would ever know how healthy this is. It looks like an indulgent dessert. 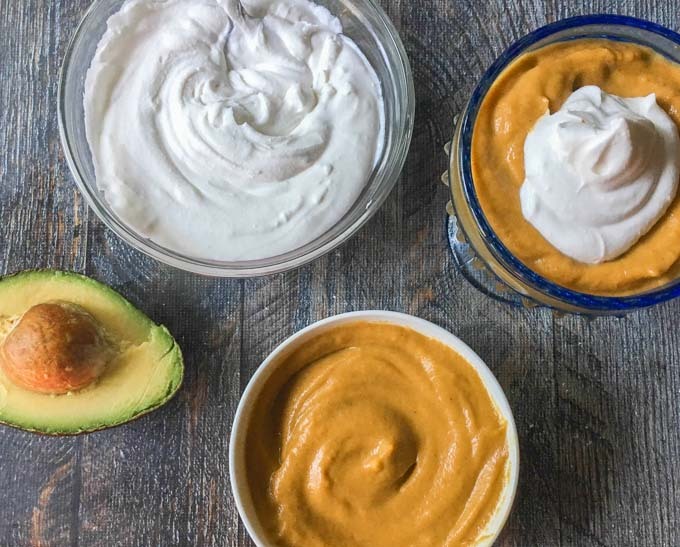 I never mixed avocado and pumpkin together. What an interesting take on pudding. So creamy! I know it sounds odd but you can’t taste the avocado at all. It just makes it creamy.